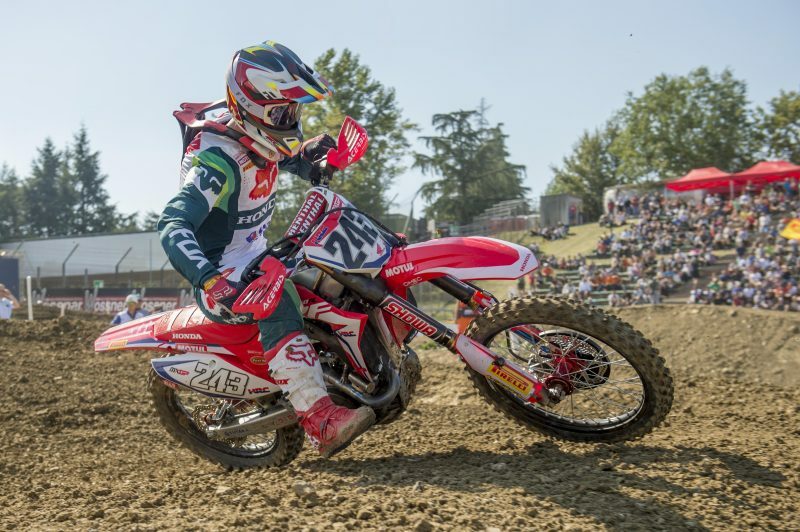 The 2018 MXGP World Championship drew to a close with an excellent performance by Team HRC’s Tim Gajser, who is second overall courtesy of two second places in the motos contested today at Imola. 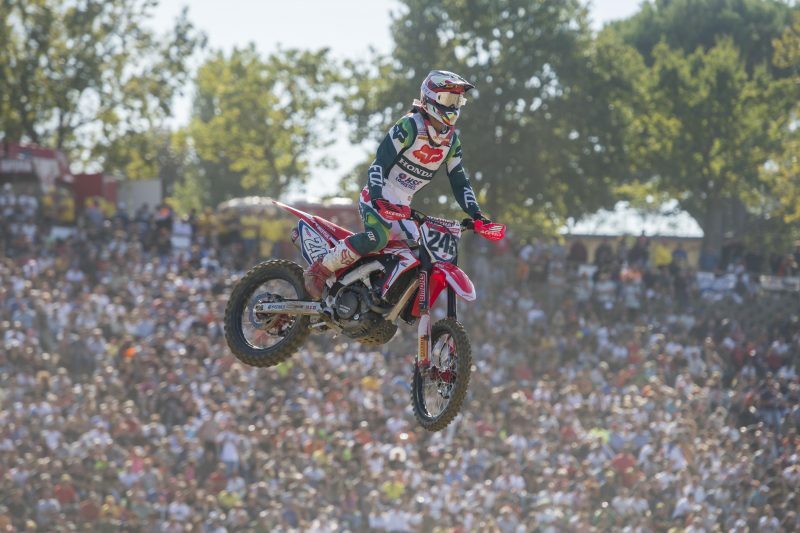 With eight podiums (five seconds and three thirds), Gajser finishes the season in fourth place, only 16 points away from the top-three. 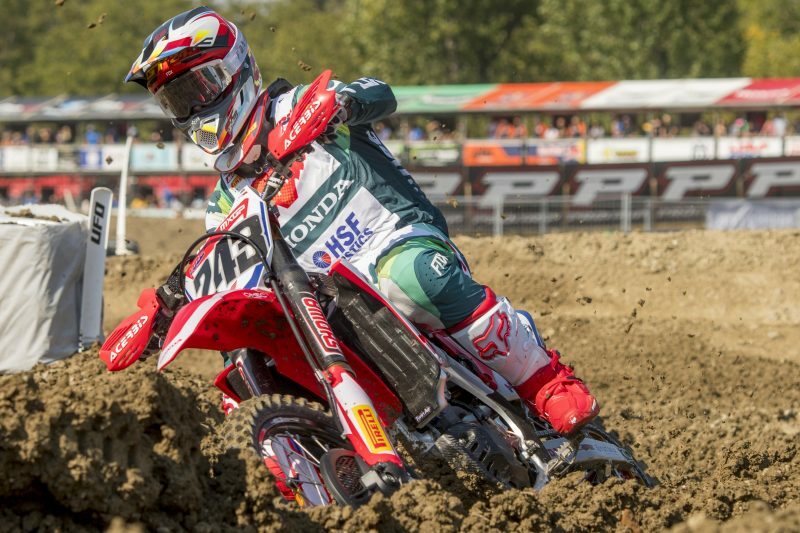 Gajser’s team mate Brian Bogers could not take part in the two races of the MXGP of Italy due to a damaged knee. 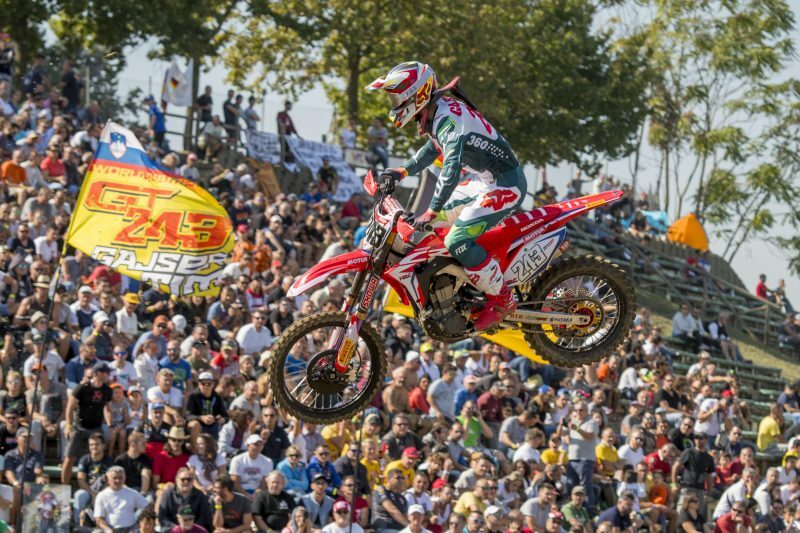 Tim got a great launch out of the gates for race one and was second but soon moved up to first place by overtaking home rider Alessandro Lupino. 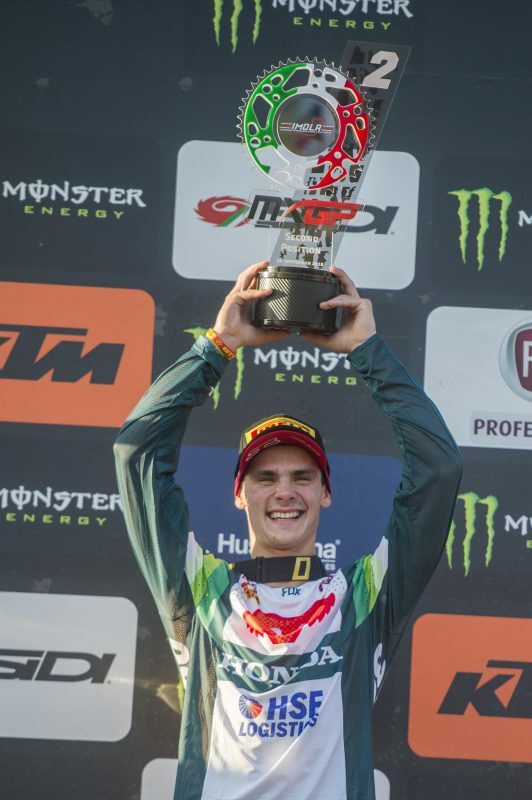 The 22-year-old Slovenian led the race until lap three, when he was passed by reigning champion Jeffrey Herlings. 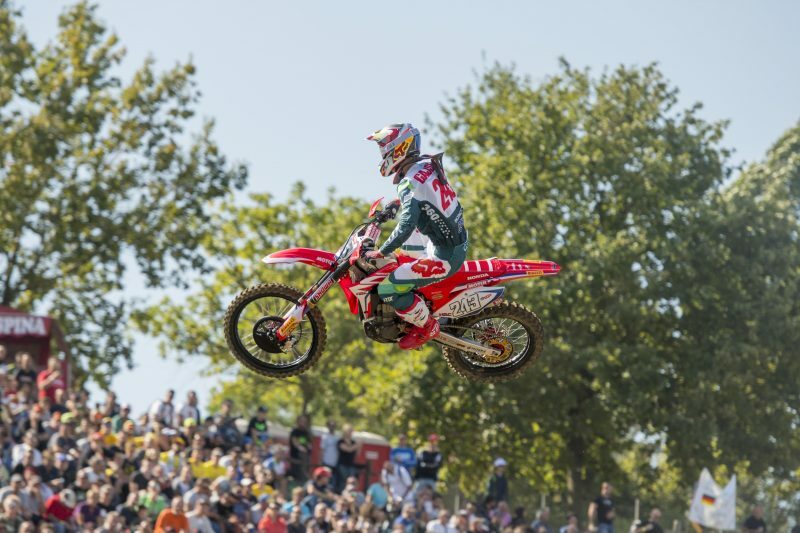 While trying not to lose touch with the Dutchman, Gajser built a comfortable lead on Desalle in third which he kept up to the finish line. 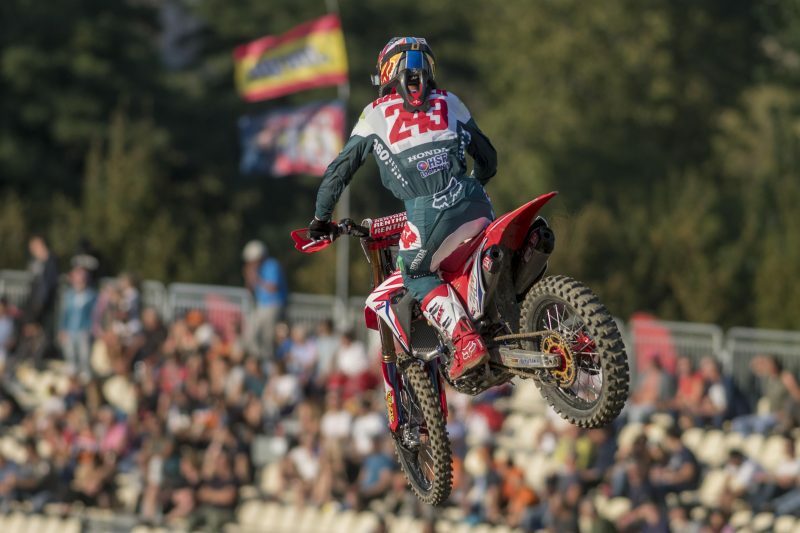 The start to the second moto was almost as good as the first one, with Gajser able to ride around turn one in third before overtaking Clement Desalle on the opening lap for second place. The two-time World Champion extended his margin over his rival and almost got back in contention for the win when Herlings dropped his bike during lap six. 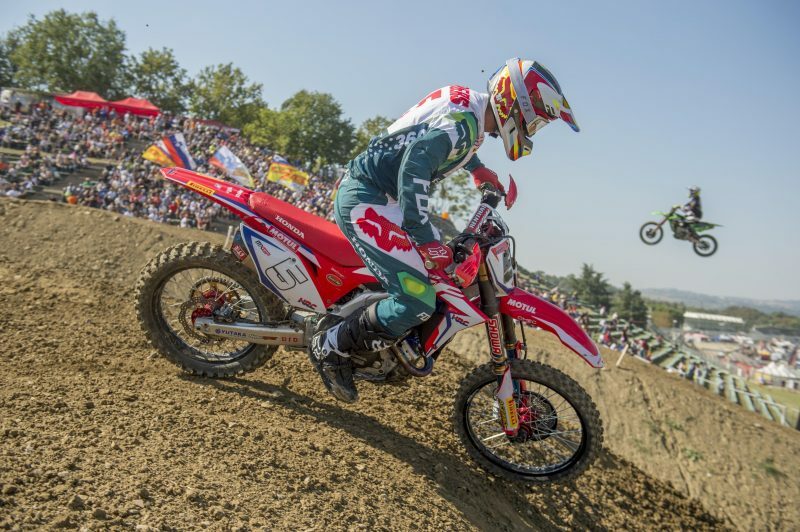 Gajser did not manage to bridge the gap with ahead and was second at the chequered flag to also claim second overall in the MXGP of Italy. 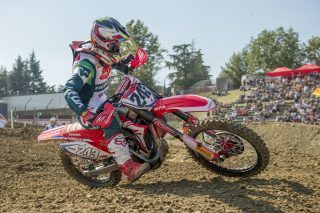 Brian Bogers decided to sit out both races after hurting his left knee yesterday in the qualifying race, when he had a coming together with an opponent who hit the rear-end of his Honda causing a crash. 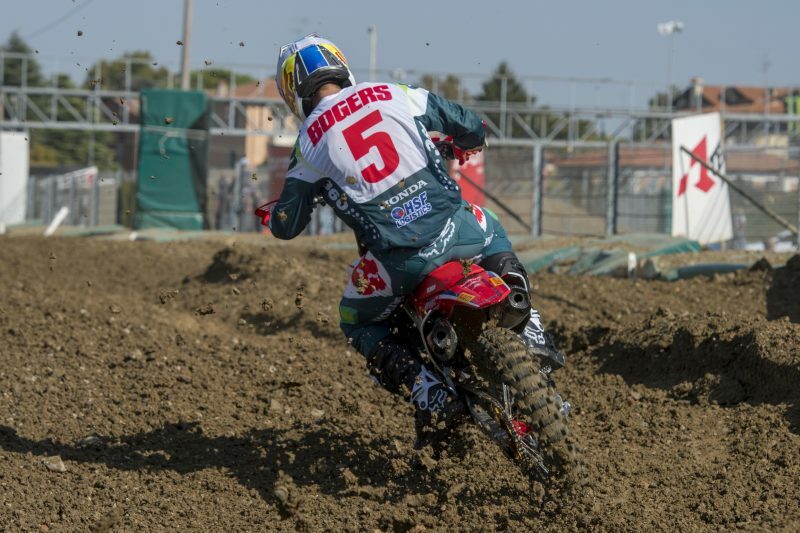 He got on track this morning for warm up to test his condition, but the pain was too much when bending the knee. 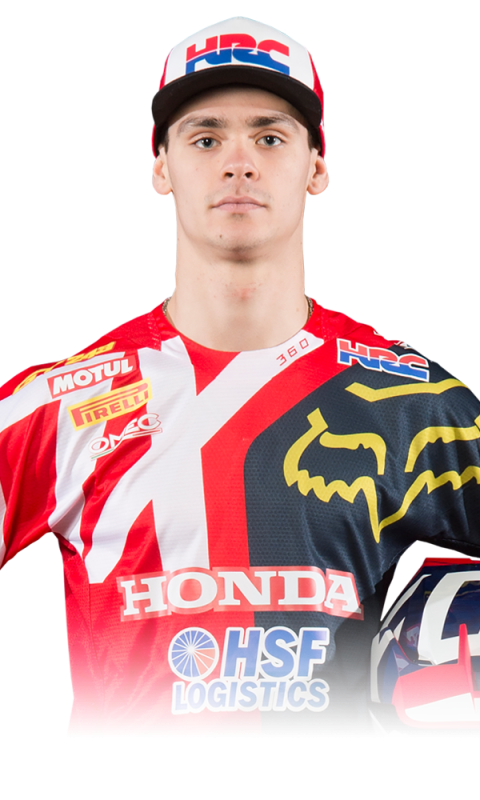 Bogers will return home and then undergo an MRI scan this Tuesday in Belgium. It’s good to finish the season on the podium: that was the goal and we did it. It was not an easy season for us, and there have been many ups and downs, but in the second part of the season we really stepped up our game and we managed to improve race after race. Overall I have to be happy, especially given what happened at the start of the year. I’m grateful and thankful that I can be here. The season went so quickly and now I cannot wait for the next one to start; hopefully things will go smoothly throughout the winter. 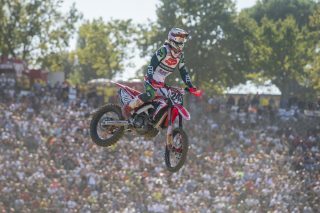 The bike was amazing but I’m sure HRC will do their best to improve it even more. I will work as hard as I can, and I will give everything I have to fight for the title. 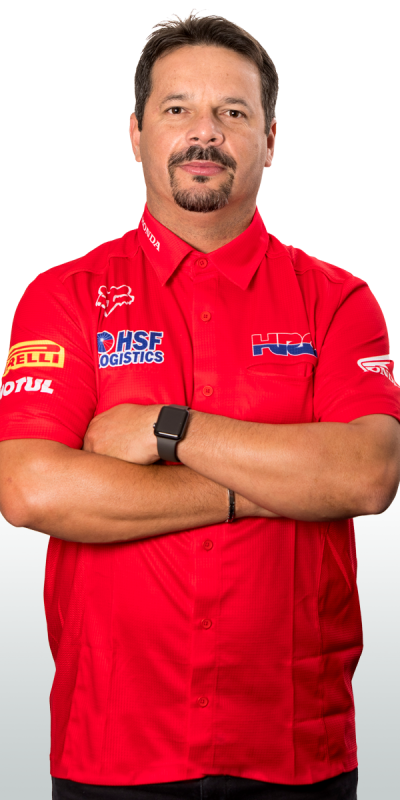 Once again, I would like to thank everyone at Team HRC for their outstanding support; they are like a family to me. 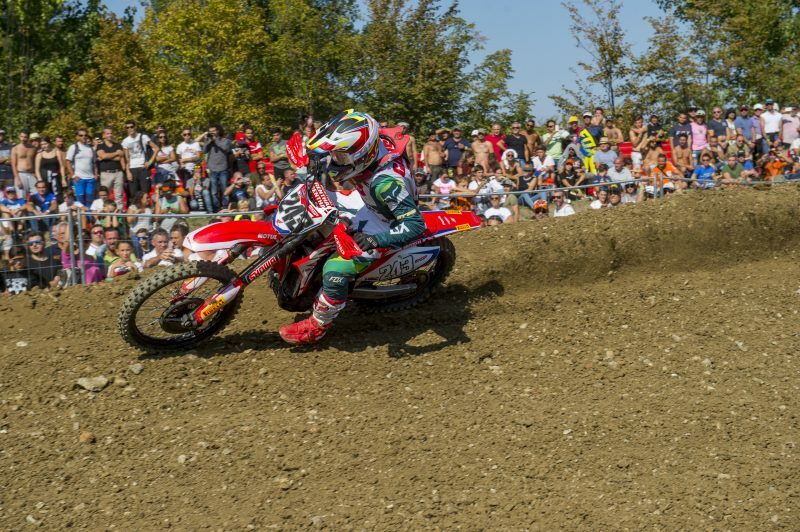 We decided together with the team to give it a try this morning in warm up, but the pain was too strong to ride because the knee hurts when I bend it. Obviously it was disappointing to miss the races but given the type of year it’s been for me, it’s better to avoid any risk. 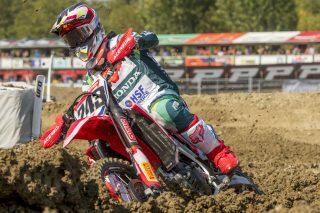 Hopefully it’s not a serious issue, so that I can be back on the bike very soon and start with winter testing. I’m really looking forward to be back racing next year and having a good season with the team. We were really happy to see Tim back on the podium before the end of the season. 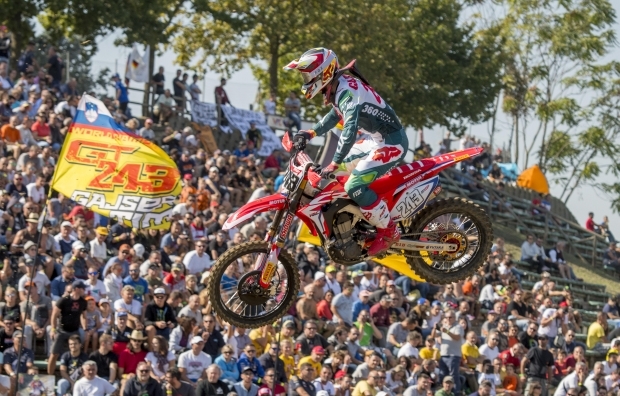 It has been a very challenging year for him, with one of the worst starts anyone can wish for. He showed how brave he is by coming back way sooner than expected, fighting through the pain and discomfort of a double jaw fracture. 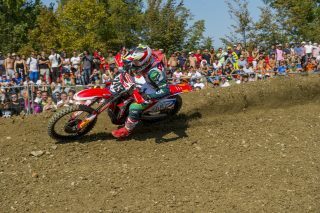 Race after race he picked up the pace and in the second half of the season we started seeing the type of performances he’s capable of. Now we head into the off-season knowing we can get ready for what could be a really promising season. 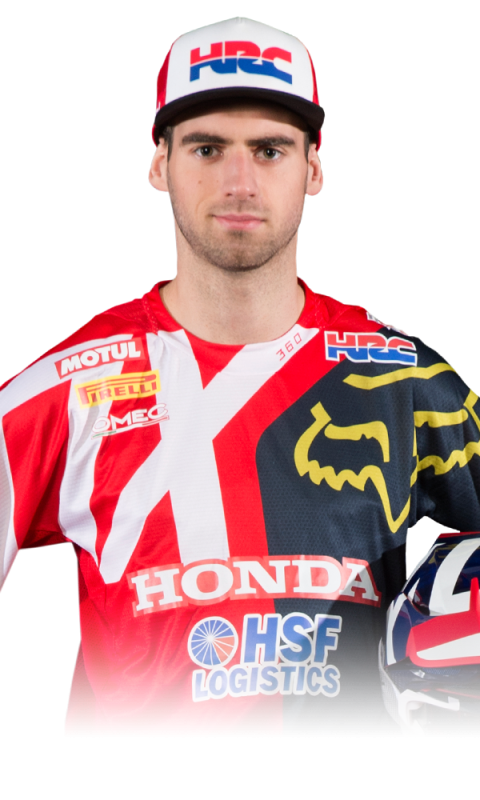 It’s a shame that Brian could not race today but in any case, these two races were more training than anything else for him after his long absence. He will undergo an MRI scan on Tuesday which will give us a clearer picture of his left-knee condition, so we can only hope for the best. It has been quite an eventful season for us with highs and lows, but everybody gave their best and we enjoyed every minute of it. Now we look forward to the future!